I feel like my blog has become the one stop party shop but it's very fitting for the time of year particularly when things start to get all kinds of festive. So what comes before part b? PART-AAAYYY. Terrible joke I know but continue reading for some major party wear inspo and also a chance for me to introduce you to a new brand I have recently discovered, I Saw It First. When it comes to party wear the dress code inevitably seems endless. Does one opt for a dress, skirt, jumpsuit, tailored suit? Naturally I lean towards a dress option but for the purpose of todays post I wanted to mix things up. So without further ado, cue this very party appropiate contender all from the Cindy Kimberly collection online at I Saw It First. Think velvet dresses of dreams, sparkling sequins and on trend frills and tassels. It wouldn't be Christmas without a touch of sparkle and this was mainly why I loved this silver long sleeved bodysuit so much. The metallics are a key trend for this time of year not to mention all kinds of perfect for all of the festive feels. Paired here with a PU skirt, I'm loving the play on texture. There's no denying that the temperature as of late has quite frankly plummeted.Whilst I may not be brave enough to face the cold or should I say my Christmas party without a coat, I'm not prepared to throw any old thing on either. 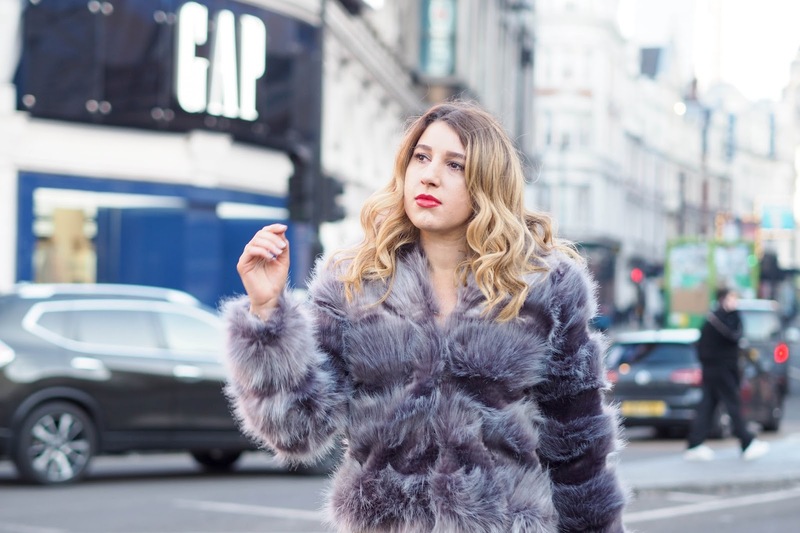 This faux fur jacket is not only all kinds of fluffy but adds a touch of glamour to this look and has left me feeling all kinds of sassy. Let's face is doesn't everyone aspire to look like a SASSY QUEEN this time of year? The words sleigh everyday spring to mind. The best part about I Saw It First is that in the run up to Christmas they are offering lots of amazing discounts, even as much as 50% off! This is definitely music to my ears especially when you want to treat yourself but your bank balance doesn't allow you to due to all the presents you've been buying. So what's your favourite party wear piece to wear this season? Better still I would love to know which is your favourite item from this post. With NYE fast approaching I feel that this could definitely be a very good contender as it's pretty much a good all rounder for any occasion. Don't you agree? It also won't break the bank either which is just what you need this time of year when you're certainly feeling it's time to tighten the purse strings. Shop the Cindy Kimberly collection and don't forget to use my code: GEMMAT at the checkout for an additional 10% off online. Happy shopping girlies. This post was in Collaboration with I Saw It First. All words, styling and photography are my own. I just love your dressing style.They are just fabulous.The way you dress up and the way you make up the color combo is just amazing.Myself a writer at best essay writing service so i don't get time to shop outdoor so most of the time i order online for my wife by seeing these style tips.I just loved the way you pose.Everything is just perfect.